Near all the guys at the club turned up for a ‘big bash’ to put To The Strongest! under a stress test! For those unfamiliar with To The Strongest! it is an ancient/medieval game system designed for BIG games though it can handle modest 1 v 1 clashes as well. To that end, the forces of Christendom decided to invade north Africa as a pre-preemptive move to stop the Murabit expansion, circa 12th century…every figure was required to be on deck! 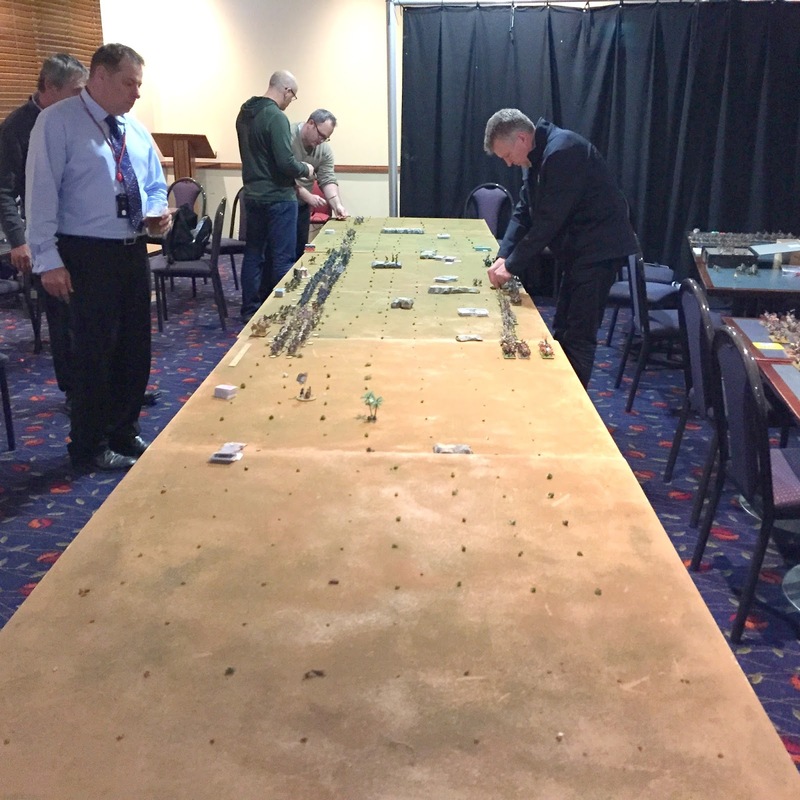 The Christian king assembled his motley band and attacked…. his faithful Norman ally on his right with a stalwart companion to his left and the remaining cavalry contingent on his extreme left protecting his flank..
On the Moslem side Christian knight was opposed by a cavalry horde led by two Emirs that opened the engagement a burst of activity, while the Caliph and his offsider held the centre with the cream of the Murabit foot. Further along were dependable Emirs to hold the right flank (refused) and let the left and centre smash the Christian forces. 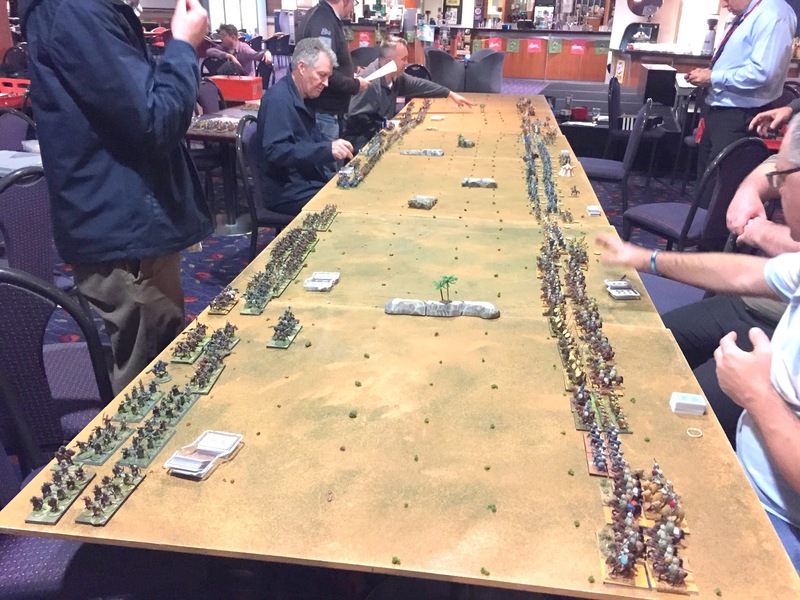 Initial glory went to the Moslem left with the left flank Emirs making good headway… the centre was hampered as the Caliph and son were late from prayers… while the moslem right cleverly remained dormant (as planned) awaiting the Christian onslaught. On the extreme Christian left a slow start was made by the soldiers of God with the opposing moslem emir noting the imbalance of forces he opposed. Despite urging from Allah the Caliph and his loyal lieutenant couldn’t exploit their superior numbers against the Christian centre despite routing a unit of Christian knights and taking some foot in flank… while on the Christian right the tables turned against the moslem left!..exposing the centre left of the Moslem battleline. On the extreme Christian left the Christian commander had to leave and was replace by another who lacked energy and was bluffed by the ‘ confidence of the moslem right wing emir who ably held on despite the odds! Meanwhile the left of the moslem line was a spent force and its attacks petered out. 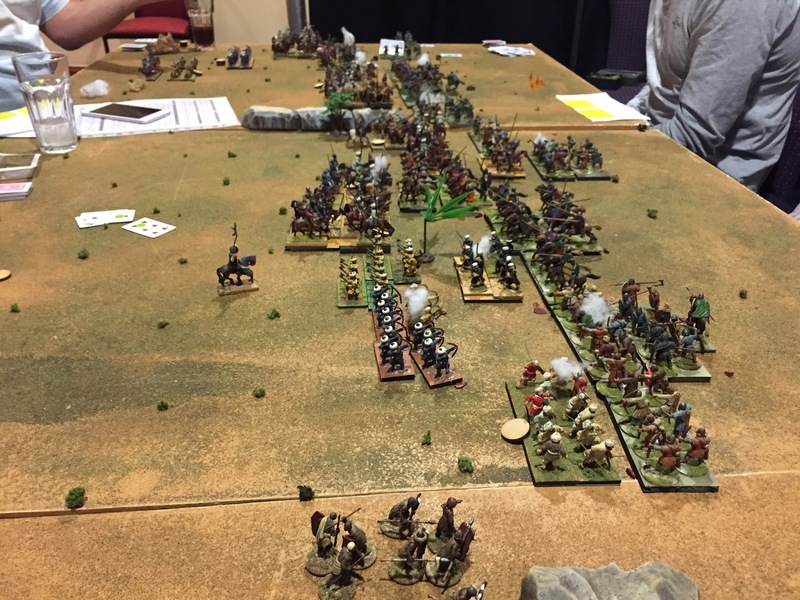 One last push tried to break the centre of the Christian line but the moslems faltered, lost several units and with that the game was called in the Christian’s favour with a weakened moslem centre and left showing signed of crumbling…Deus Vult! 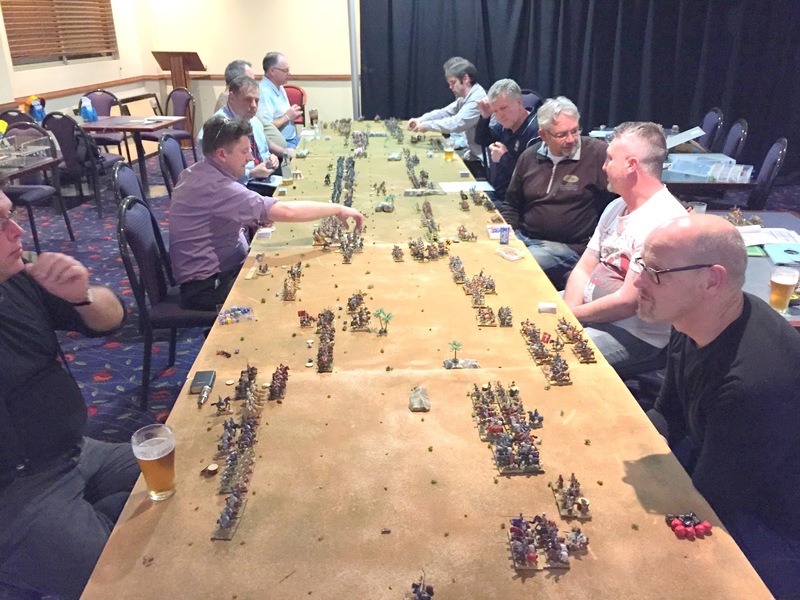 So this was the largest game we had played at the club and it involved 14 players, 15 if you count the late replacement! We went for a ‘throw it all down and get stuck in approach’ so there was no victory medals used to determine the victor, this best left to Allah to decide! 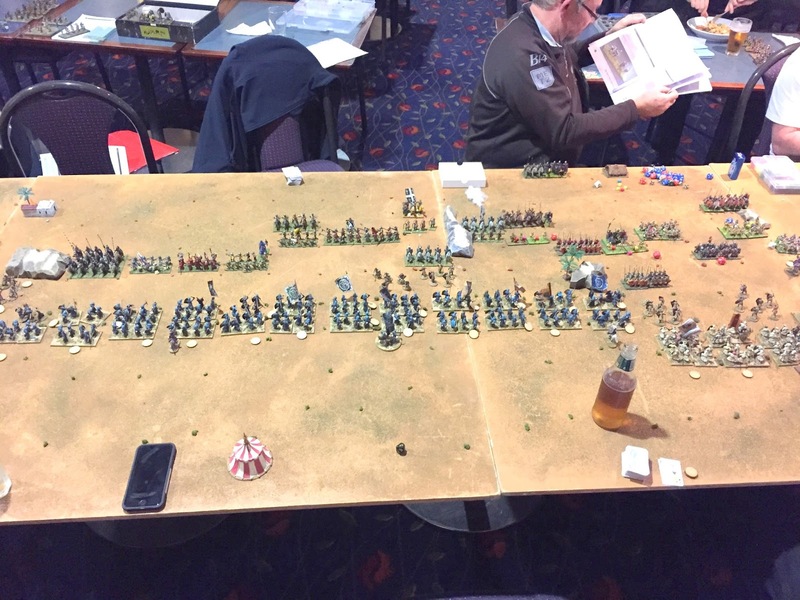 Overall an impressive looking game with over 1500 mainly lead 28mm figures. A post mortem of making it deadlier which would’ve sped things up a bit and we have some easy fixes for that.. but overall the system works…for this scale/scope….and it is big! Kudos goes to Christian king and the right wing Moslem Emir for his successful stalling and the Christian right wing commander who turned around a losing situation…to sway the battle…..again!! To The Strongest; quite simply the only way to really play a truly epic battle in a club night or pretty much anytime!…well done Mr Miller! 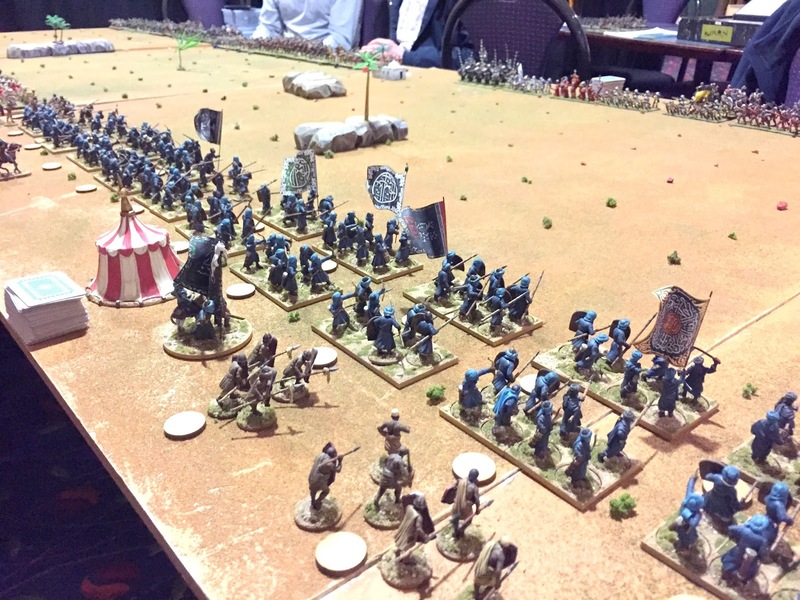 …yet more troops to add. We used small tufts to make the table into 6″ squares. Into it! 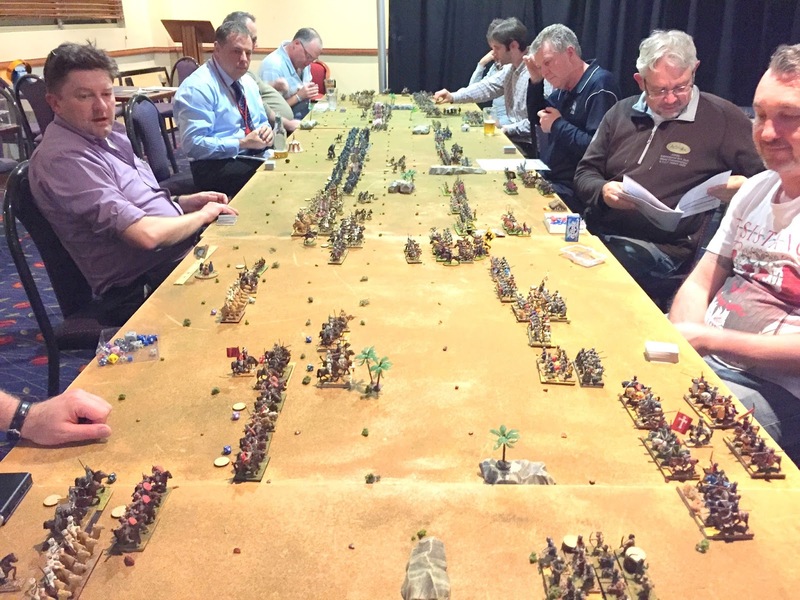 Near ground shot has the moslem right flank (near the beer!) 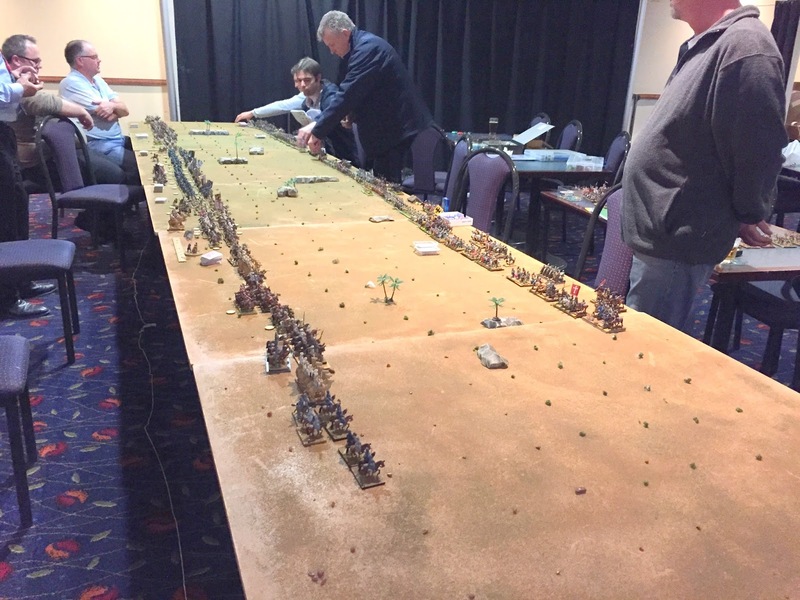 refused, while the other end of the table sees the moslems advance in a rush! 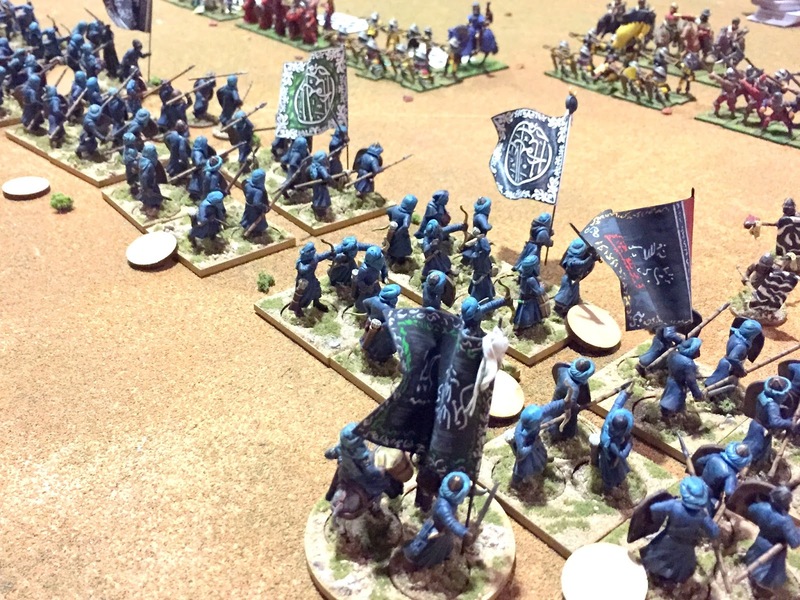 …forces lock horns across the line. 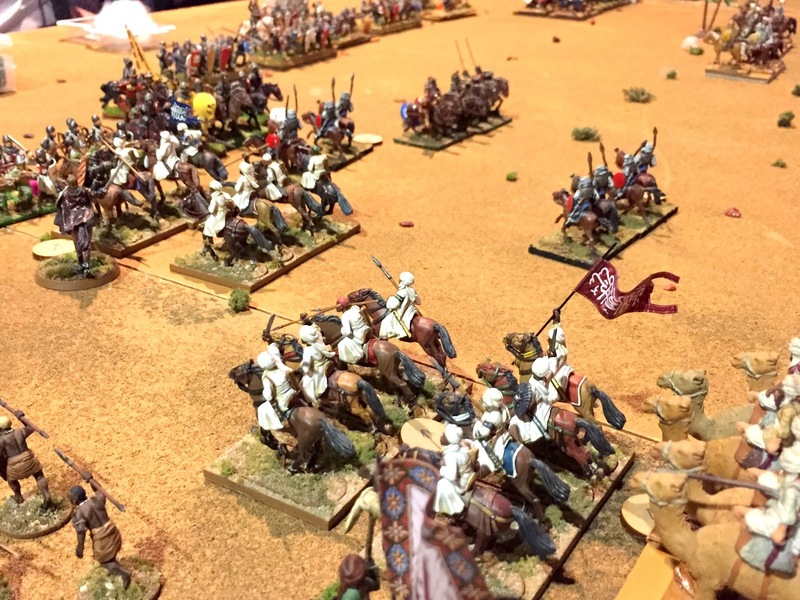 centre right moslem cavalry launch into the attack…allah ahkbar!